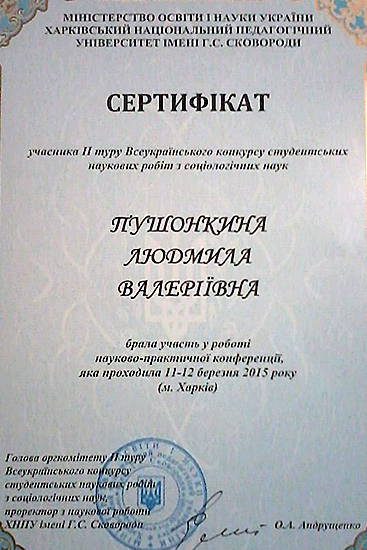 LNU magistrand won the All-Ukrainian competition of student scientific works in natural, engineering and human sciences. 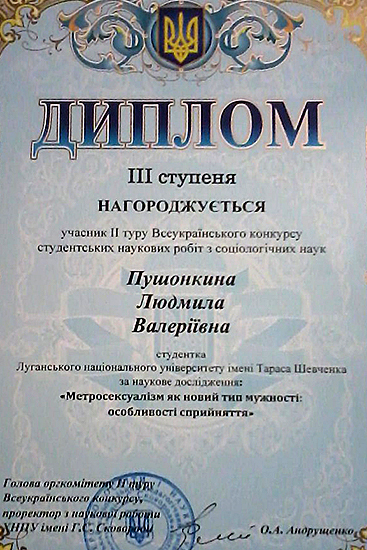 Liudmyla Pushonkyna – a magistrand of “Sociology” specialty – took the III place. 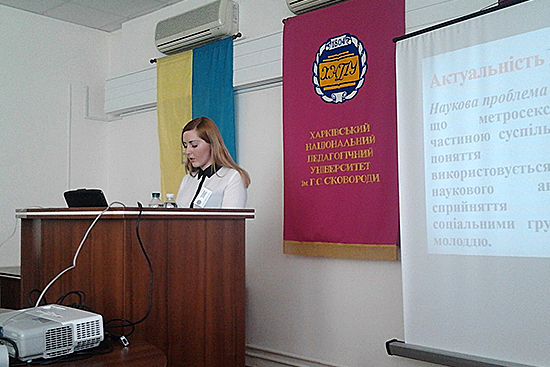 The directorate of the Institute of History, International Communications and Socio-Political Sciences of Luhansk Taras Shevchenko National University congratulates the magistrand. “We are proud of our students who in spite of the difficult period in the life of our country, region and university express desire and skills in the scientific work, who can make high-level research and whose results are the cultural assets of our country, – they tell at the directorate”.